install windows on NVME SSD 960 EVO without clover on a board without NVMe support. there are still a lot of motherboard that do not support booting from nvm express. that is the reason for this tutorial. 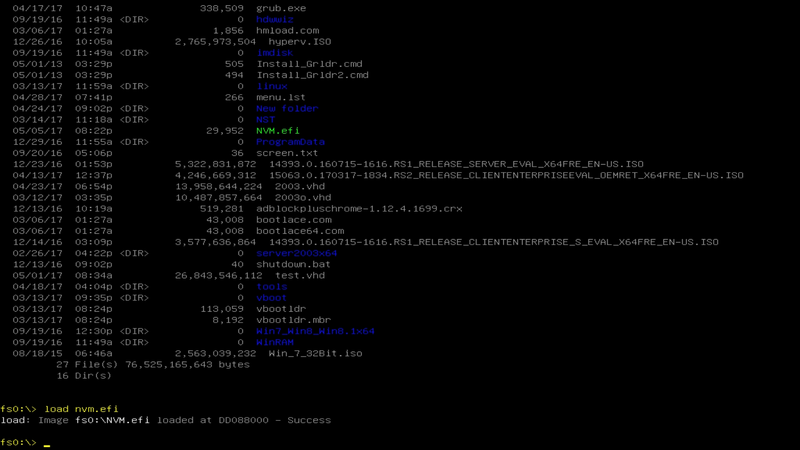 what you need is nvmexpressdxe.x64.efi and a build in EFI shell. -map -r (your mapping table wil be refreshed and new file systems will emerge. you are still on fs0: but this is not the same one. -enter dir again and you will notice that you find yourself in the setup partition. -just enter that green file and setup will start. als de computer reboot is het min of meer het zelfde alleen moet je voor de partitie met de EFI folder kiezen in mijn geval fs2:. dit is ook de manier om windows op te starten. here I boot windows with the help of a USB drive with the nvmexpressdxe.x64.efi on it. No other drives are attached other then the samsung 960 NVMe and the USB drive with only nvmexpressdxe.x64.efi. the USB drive I take off directly after loading the driver. Hope its alright OP i joining about M.2 SSD. There are also another solution for those who want a M.2 NVMe SSD in there old system but with out all the hassel. The answer is Samsung 950 PRO. With that SSD and as far i know only that SSD samsung have in the firmware of the SSD mounted at OPT-Rom some people call it Legacy mode. What that do is that old legacy bios can se this SSD as an IDE drive and by that make it bootable on old system and i can confirm it. Have the 256 GB version fully working and running on my old X58 system. Only downside is that because of PCIe 2 limits you will be stuck af about 1700 MB/s as max read/write speed but still far better than sata 3 can handle. Se image/screenshot and video below here. I have MSI clickbios but my drive is not even listed. I watched your video and yes the drive was listed. so the 950 yes and the 960 no? can it be the firmware? can I use the 950 firmware for the 960? or is my ssd permanently damaged then? 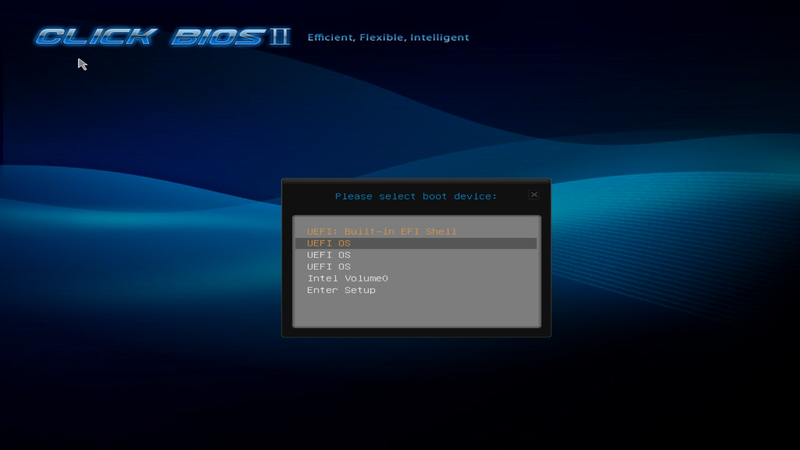 Samsung 960 EVO/PRO does not have legacy mode build in its firmware (i got that comfirmed by samsung own support) and by that its not bootable on non M.2 supported motherboard at least not without some kind of hack/mod. Its legacy mode that samsung bulid in its older 950 PRO that makes it bootable and that it can be seen in side bios on motherboard with out m.2 support. legacy mode does that bios can se it as a IDE drive and by that handle it as any other sata drive. I dont now about 950 pro firmware on a 960, but if you try be warned it may work or you risk permanently damage your 960 SSD. Its at own risk. You cut try samsung support, but i bet there answer is that it will not work. So yeah 950 pro can run on old motherboards with out the need for M.2 support or any tweak. While 960 needs some sort of a hack or modet bios to work, else it can only work as a storage drive.